Want to hear some freaky stuff while digesting your big Sunday meal? Join me with hosts Marie Cuff and Shane Anderson as we talk about the paranormal, including ghostly encounters, TONIGHT at 7pm PST, March 24th. Click the link below to listen live!! 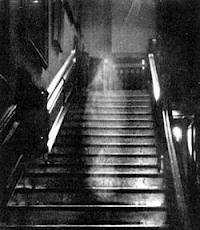 This entry was tagged international paranormal reporting group, real ghost stories, Varla Ventura. Bookmark the permalink.